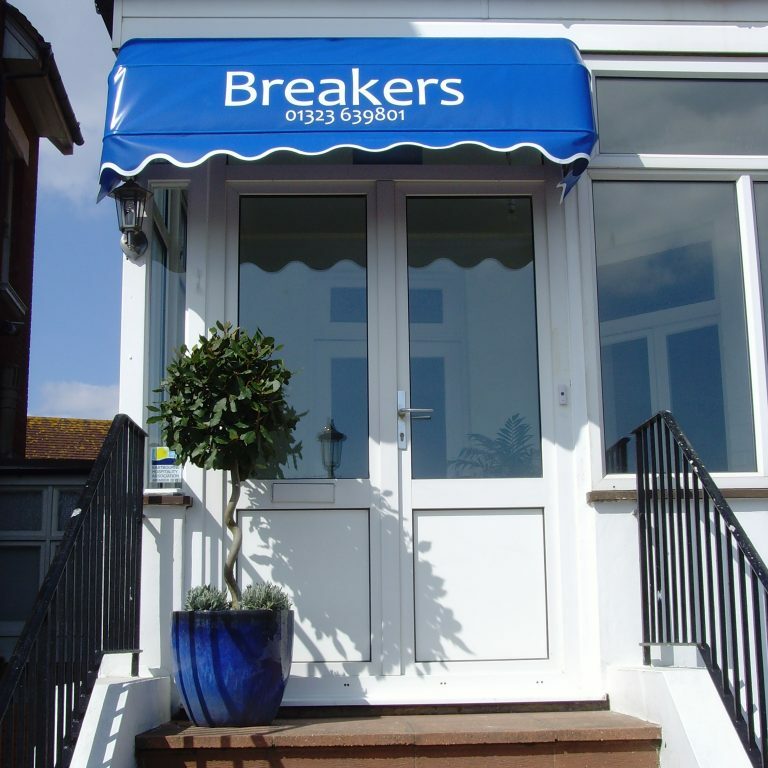 Breakers is a lovingly refurbished Victorian property offering high-quality bed and breakfast accommodation, located on the seafront with views over the Pavilion Gardens, the promenade and beach. 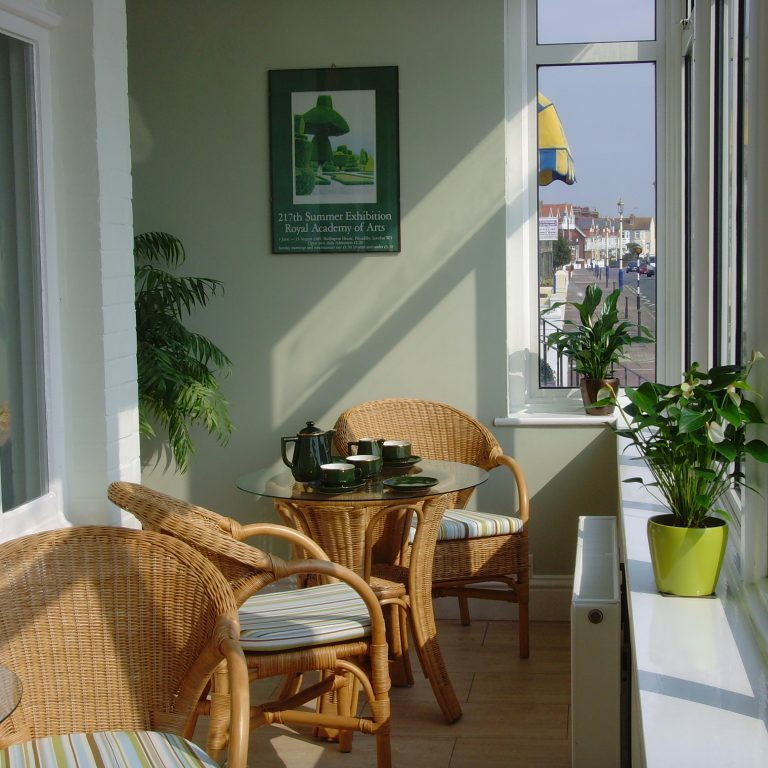 We are within very easy flat walking distance of Eastbourne Pier and Town Centre (10 mins). Directly outside are bus stops taking you into Eastbourne and there is also a stop for the Dotto land train which runs along the whole of the seafront from Holywell Bay to Sovereign Harbour in high season. There is a wide variety of restaurants and bars close by. All of our rooms have been individually decorated and furnished. Each room has an en-suite (our two singles share a shower room). 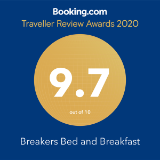 All rooms have flat screen TV/DVD, Wi-Fi, hairdryer and hospitality tray. Guests can relax in the sun lounge overlooking the seafront. 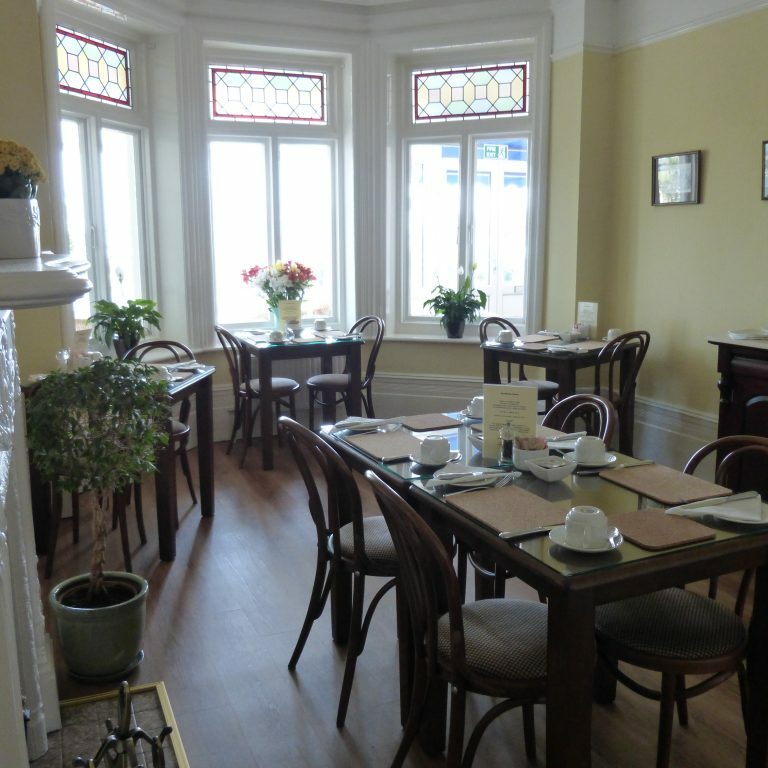 Breakfast is served in our bright sunny Breakfast Room or Sun Lounge where guests can enjoy either full English breakfast cooked to order and made from high-quality local produce along with a buffet of juices, yoghurts, fresh fruit and cereals. We will endeavour to accommodate all dietary needs when requested in advance. We welcome children, over the age of 4, in our family room.